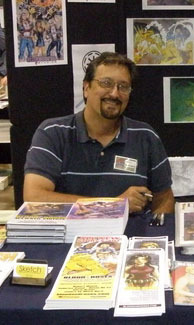 Bill Nichols is not only the editor of the comics art how-to periodical Sketch Magazine, he’s also a writer and inker whose work has appeared in Blood and Roses (writer, inker), Raven Chronicles (inker), LegendLore (inker), Savage Family (writer, inker) and several others. In addition to checking out Sketch Magazine and his related blog (www.sketchmagazine.net), you can also look for his current upcoming efforts including Tempered Steele, Blood and Roses, and Manhunt. When I was in my 20s, I started thinking about actually pursuing comics and somehow getting in there and creating. My grandmothers both had belief in me and that’s stayed with me throughout the years, even though they’ve since passed. Bob Hickey has continued to keep me in the thick of things. But I would have to say that other members of APA-5, like Robin Ator, Erik Weems, and Clint Hollingsworth contributed to my being here. Oh wait, if I don’t say Beau Smith, he might hunt me down. Watching a movie at the theater sometimes does it, or reading some good comics, like Ultimate Spider-Man. 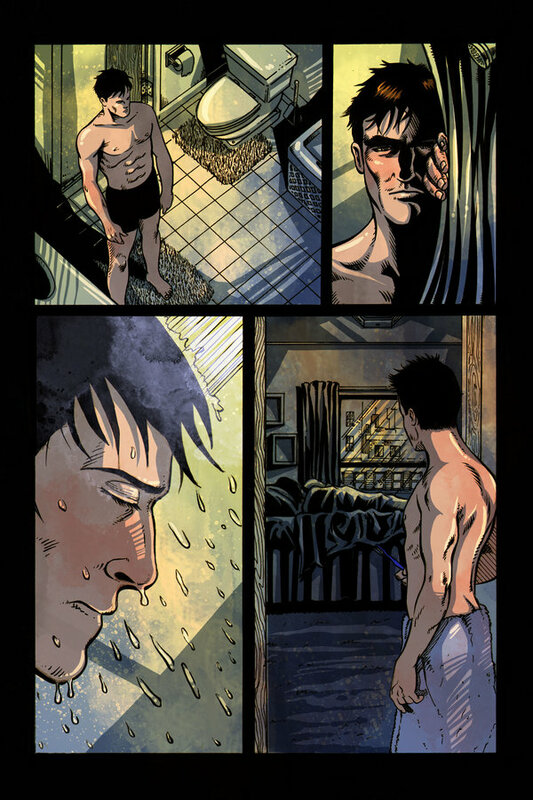 That Brian Bendis can write. There really isn’t a typical routine for me. Just work and move on to the next thing! I write and edit in MS Word on the computer. I still write some things in longhand, though. I ink with a Hunt 102 Crow Quill, a Winsor & Newton Series 7 brush #3 and various tech pens. Getting done and getting inspiration for the next thing! The run of Sketch Magazine that I’ve edited would have to be my answer. I really do wish that I’d had such a magazine available when I was learning all this stuff. And that the tack I take when I look at putting them out: being there for the next generation of creators as well as the current folks. Practice, practice, and keep learning. And don’t get a big head. Your dreams are worth your time. Pay attention to your dreams, but don’t forget that others share your life. Pay attention to them as well. And make your day count for something.